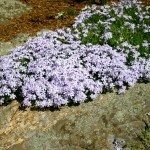 Will phlox overtake other plants and flowers already planted? No, it shouldn't. Phlox is not usually considered to be aggresive.